Velocity: How Slow Should You Go? Typically I refrain from writing technical articles for the newsletter. But in lieu of the craziness that ensued after another personal trainer bashed me for my training style following a video I posted on Facebook a few weeks ago, I thought I’d make an exception. Whether you were witness to the foolishness or not there is definitely some cool stuff to learn from it. Despite how absolutely insane this individual was and the mêlée that ensued, when you look past all the nonsense there was some excellent debate and points made on the intricacies of weight training. Particularly, lifting velocity (viz. your tempo or speed of movement). I posted a video of myself doing a Superset of Rows and Dumbbell Chest Presses. ‘Nut-Job’, as we’ll affectionately call him, begins criticizing the velocity of my reps. As well as the fact that I used a cable machine and dumbbells instead of a particular brand of machines, but we’ll save that discussion for another time. In his unsolicited opinion I should have been employing a training method known as Super Slow™, in which I would take 10 seconds or more to lift the weight and 10 seconds or more to lower it. The purpose of which is to curtail velocity and prevent momentum from contributing to moving the weight. Going back 15 years I trained next to... trained with... was trained by... and educated by three Master Super Slow™ instructors. My primary mentor was one of the original guys that brought the training method to NYC and had celebrities such as Kevin Bacon, Keira Sedgwick, Calvin Klein, and others as his clients. Additionally I trained with five other SS instructors and was acquaintances with countless others. Oh, and I practiced Super Slow™ to the letter for myself and clients over a two year span. Not to come off arrogant but Mr. Nut-Job wasn’t going to teach me anything new about this training method or the science and logic behind it. The two main points Nut-Job was making about velocity I happen to agree with.  Muscles are strengthened based on the force placed across them during exercise.  High velocity movements correspond to low muscle force and low velocity movement corresponds to high muscle force. However where he and SS miss the mark is in their interpretation and application of the Force/Velocity Curve. On the Science For Sport website I found an excellent diagram of the F/V Curve, displayed below. Low velocity for safety. High velocity for hypertrophy. The x-axis of the chart indicates velocity and the y-axis, force. Disregard the different terms for strength that are used along the curve as they have no bearing on this discussion. However do take note of the % of 1RM that is listed next to each. 1RM stands for “one rep max”. 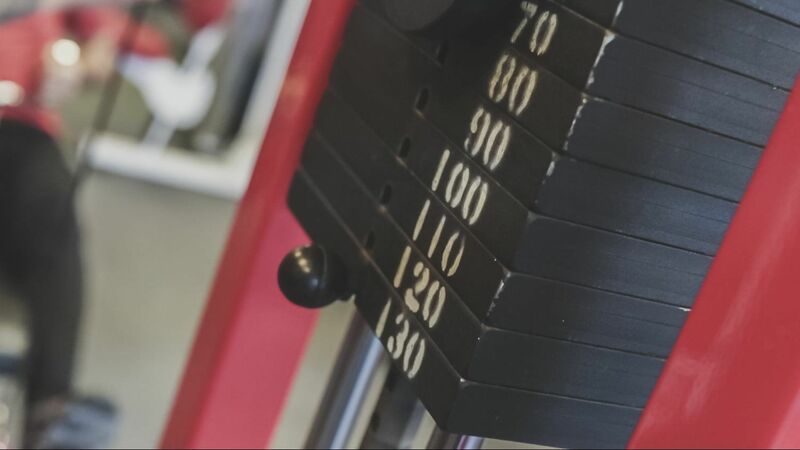 It’s the most amount of weight you could lift for a single repetition. For example, if on the Leg Press you could lift 400lbs once and only once that would be your 1RM. (We don’t ever do 1RM’s because they’re too dangerous and unnecessary for developing general strength and muscle tone). The problem is your muscle fibers (the small individual units that makes up our muscles) are recruited on an “as needed” basis. To recruit the largest and greatest number of muscle fibers they must be challenged with heavier weight. The type that forces you to move slowly. Not light weight that you volitionally move slowly. Light weight that is moved artificially slow reduces neuromuscular firing. Neurons are the electrical charge that signal which muscle fibers and how many of them are called upon. When a task is perceived as easy/light only the smallest and lowest number of motor neurons are triggered to complete said task. When a task is perceived as hard/heavy and we attempt to move as fast as possible, the largest and greatest number of motor neurons are fired (i.e. the last 2-3 reps of your set). In 2015, Schoenfeld, Ogborn, and Krieger did a meta-analysis (a study designed to systematically assess previous research studies to derive conclusions about the body of research) which showed there was virtually no difference in the hypertrophic response (muscle development) in repetitions ranging from 0.5 to 8 seconds. The findings also suggest that training at volitionally very slow durations (>10s per repetition) is inferior from a hypertrophy standpoint. 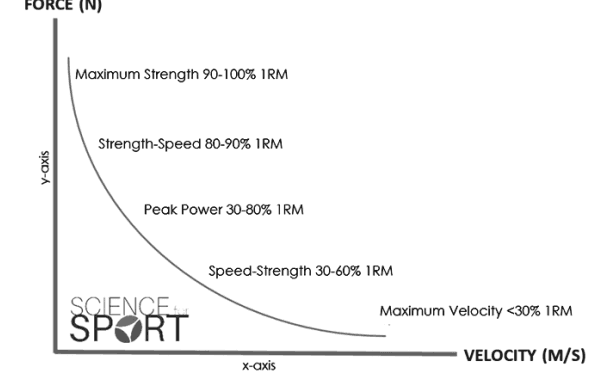 Our philosophy is to be on the safer end of the 0.5 – 8s range but ensure we are doing all we can to maximize hypertrophy. Which means steering clear of Super Slow repetitions of 10 or more seconds. As the saying goes, it takes one bad apple to spoil the bunch. The concepts advocated by SS are not incorrect. In fact they are quite solid. The problem is they have taken these theories to the extreme and have tried to assert what “low velocity” should looks like for everyone—even though research does not support their view. At the end of the day individuals such as Nut-Job try to shape theory and science to meet their beliefs instead of using theory and science to shape their beliefs.